TERRANCE: Can you share with us a little how you both first met. TAMELA MANN: How we first met would be my best friend from Church. We grew up together and she went to High School with David and they took a chorus class together and we do also speak of this in our book, ‘Us Against the World: Our Secrets to Love, Marriage & Family’. She took me to the school to meet them, actually to sing for them. He was singing in a group with Kirk Franklin. DAVID MANN: What’s funny is we had never ran into each other and I guess our groups were what you would call local famous and the crazy thing is Tam was known for singing all around the city as well but we had never bumped into each other, but after we met that day we started running into each other all the time which was weird. TAMELA MANN: It was musical after musical because that’s the thing we did, you know? That was our hobby pretty much. We were singing from Church to Church. DAVID MANN: And so we ended up connecting after that and just becoming really good friends. I kissed her and she got pregnant and we got married. TAMELA MANN: Oh, stop it. (laughs). DAVID MANN: (laughs). But in the book we go into the detail between the kiss, marriage and all of that. TERRANCE: You guys recently wrapped up the ‘Us Against the World Mann Family Tour’. Talk about that and the experience. 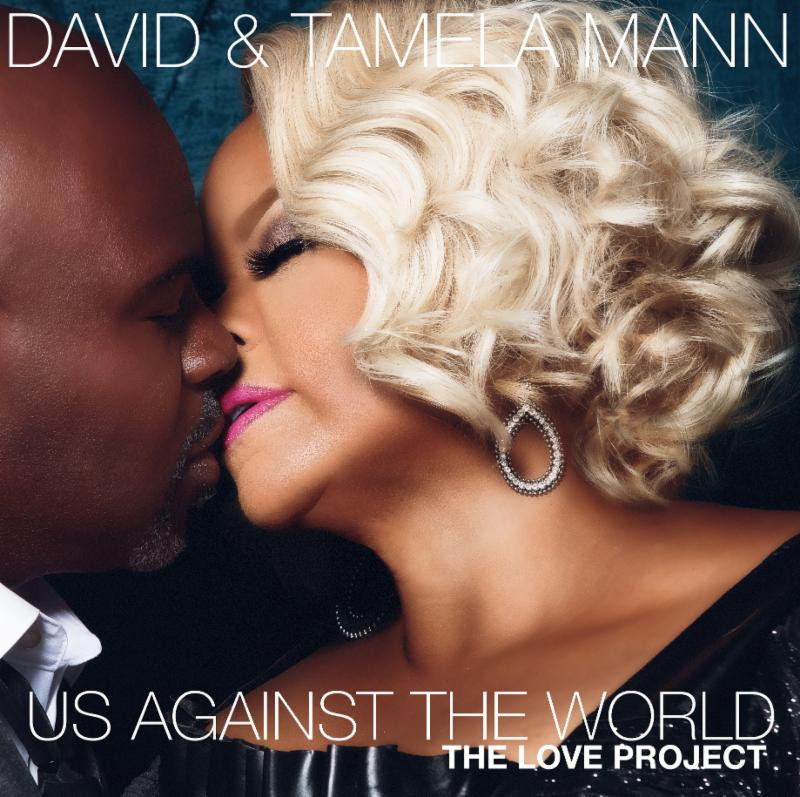 DAVID MANN: We wanted to have something we could actually physically go out and be a ministry to for us and our marriage ministry, but we wanted to do it where it wasn’t just a concert. It wasn’t just a comedy show or a stand up talking conference. We wanted to do something that was an experience, so we came up with the concept of having it all in one night. We start the whole thing off with the whole family doing the title song. 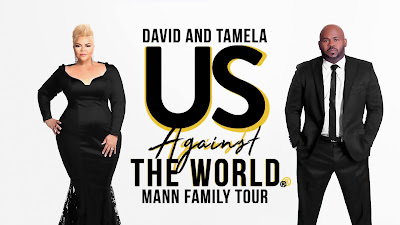 TAMELA MANN: “Us Against the World”. And my son kicks it off with like a big backyard family reunion party. He’s a DJ and so he gets it all crunked and hyped up. DAVID MANN: (Laughs). Do they still say crunk? TAMELA MANN: I’m old so it’s okay. DAVID MANN: I think it’s lit now. TAMELA MANN: (Laughs). So my daughter Tia comes out and she does a neo-soul vibe set. DAVID MANN: And she does a tribute to the Queen, Aretha Franklin. DAVID MANN: Which is a really nice tribute. TAMELA MANN: And David comes out and do comedy. He’s talking about our 30 years of marriage and he’s talking more on love. TAMELA MANN: I come out and do the Gospel portion of my upbeat songs and then we kinda take a rollercoaster ride. We start out fast and then we slow it down. DAVID MANN: We start out jumping and end up crying, like, how did this happen? TAMELA MANN: (Laughs). We also incorporate a love set which are songs from our new album, Us Against the World: The Love Project. DAVID MANN: You have to see how the love set starts. We started the love set off with some of our friends and family to give their definition of what love is and so we video that to introduce the love set and we give you the definition of what love is. Both their biblical and practical definition. Then Tam & I, for the first time we sing together. For the first time on tour, on the road, anywhere. TAMELA MANN: Finally, I got David in the studio and on the stage to sing with me, which he’s been running for quite a few years. DAVID MANN: I haven’t been running. I’ve been quite honestly intimidated singing with Tamela Mann. That’s what it is. TAMELA MANN: No need for intimidation. DAVID MANN: Well, it was intimidating. While we’re doing the love set, we kinda do this re-dedication with couples and we do a prayer. We pray for marriages and family. TAMELA MANN: And be unified in the unit in unity of marriage, so we end with a prayer. DAVID MANN: And then Tamela Mann takes us to straight worship again and when I tell you it’s an experience. It’s a roller coaster ride. It’s just a little bit of everything, so we just call it The Experience. Once everybody gets the experience, we all come back out and thank everybody for coming out, so that’s the Us Against the World Tour. TERRANCE: For those who weren’t able to attend the first, will there be a second leg of the tour? If so, when can we expect that? DAVID MANN: There will be a second leg coming mid-2019, so stay tuned and follow us @DAVIDANDTAMELA and we’ll let you know when we’ll be in a city near you. TERRANCE: Awesome. So you mentioned the book, ‘Us Against the World: Our Secrets to Love, Marriage, and Family’ that’s out now. DAVID MANN: What we do in the book is we take everybody on a journey. A journey of 30 years with The Mann’s, so we kind of take you on our ups and we take you on our downs. While we were writing the book, we had to go back and revisit some things, issues, problems and situations that we thought we had resolved. TAMELA MANN: That we had dealt with in our marriage, so I’ll say there are a few skeletons that we talk about and being very transparent. DAVID MANN: As the kids say, The Tea. TAMELA MANN: Our goal is to encourage families that they can get hope and inspiration and they can stay together and not give up on each other. DAVID MANN: In the book also we share some prayers for different situations. We talk about love. We talk about finances. We talk about keeping the fire in your marriage. We talk about simple things like even laughing with each other. Just sitting down and just having a good laugh. 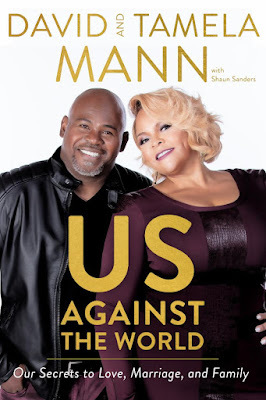 TAMELA MANN: And staying committed to each other and not just tolerating each other, but loving each other through every up and down you have, which you will have in your relationship. 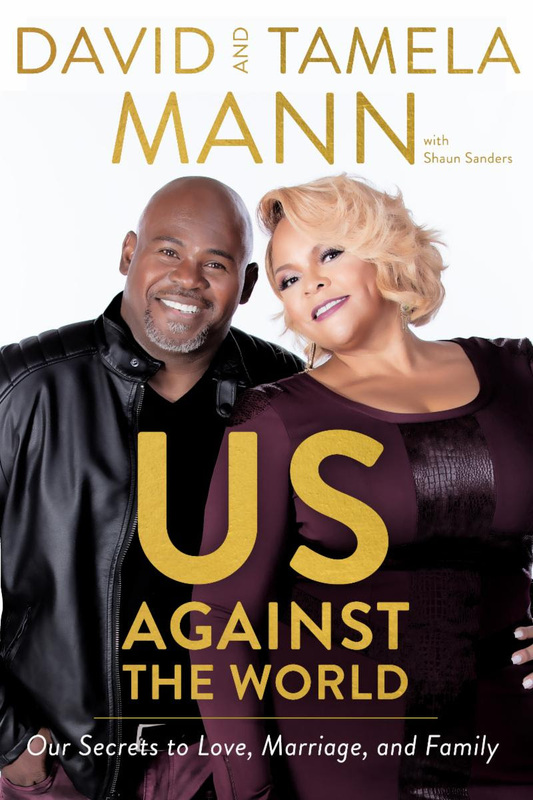 DAVID MANN: We definitely deal with some of the tougher issues that come up in our life like The Art of Arguing where we share our biggest argument we’ve ever had. It started out real rough and rugged but it ended up being funny because it didn’t quite go according to plan in my anger. TAMELA MANN: We talk about our super blended family and how we came together as one family unit. DAVID MANN: In the book we also talk about revisiting the vows. A lot of couples, we don’t fully understand what we’re getting into when talking about renewing vows or even saying our vows, so we go back and talk about renewing our vows. TAMELA MANN: We talk about the knock at the door which was kind of a hard place in our marriage. Five years into the marriage we had the knock on the door and surprise! DAVID MANN: I have another child by another woman that happened before our marriage, but that’s just giving you a backstory without giving it all away. That’s where the Us Against the World title and saying came from which was that knock at the door. The knock at the door, Tam was like, I’m not going to be able to do this. TAMELA MANN: Because we’re blended and he had one child when we started out as a couple and I really didn’t know where I fit in. I felt like I was kind of going to be lost in the shuffle. I was like, where do I fit in here? Because we have the new child coming with the baby mama drama. So he explained to me that it was Us Against the World and he really made it plain to me. 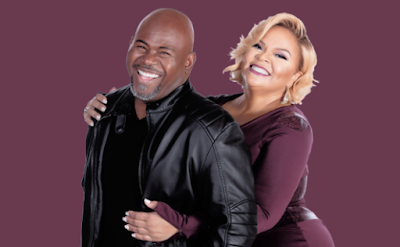 DAVID MANN: Once I sat her down and explained to her, look I love my kids and I’m going to make sure I take care of them, but at the end of the day, you are my first priority. It’s us against everything else. It’s Us Against the World. It’s us against everything that will tear us apart. Even when we’re out on the road we’re not necessarily talking about The Mann’s against the world. We’re talking about the body of Christ. TAMELA MANN: We as a people and family unit. DAVID MANN: Right. We’re just representing us against anything that’s going to come and tear the family structure, marriage or anything that will come and try to destroy that. We’re against that, so it’s not like it’s Us fighting against everybody. TAMELA MANN: The U in Us means you as a family. All of us and that leads into the actual album because it’s based off the stories that we have in the book. That’s where the Us Against the World: The Love Project CD comes from. David is singing some songs to me and I’m singing some songs to him and we’re also singing duets together. TERRANCE: Getting into Us Against the World: The Love Project. What can you tell us about the album? DAVID MANN: It’s our first project where we’re totally doing an album together. It’s straight love music and I don’t want to say part of the problem we’ve had in the music industry because Tam is known for her strong Gospel roots, people are kind of looking at it like, is she trying to crossover? Is she trying to go R&B? That wasn’t the goal. The goal is to encourage marriages. TAMELA MANN: And to just sing about love. You know? Something from us, to us, for us and to just actually show another side that for one, I’m in love with my husband and that I like my husband and I like being with him and I feel very secured in my marriage and the love that I have for him. I wanted to share that in songs. DAVID MANN: What we did with the book is we sat down with some producers and my son David, Jr. pulled together a team. He’s the brainchild behind the whole album. He pulled us with some producers and writers and the reason I was so afraid at first was because it’s been so long since I’ve been in the studio and so I guess it was a bit of being insecure about singing and then singing with Tam. Once they got the songs and they tailor-made them just for me and for my voice. TAMELA MANN: If you haven’t heard the album and the music yet, he did a wonderful job, so hopefully you’ll get a copy and actually hear my Christian Babyface (laughs). DAVID MANN: We wanted to do genuine love music. We wanted it to be a soundtrack from the book and once they put the songs together and we got to doing it, it was like, where do we put this? 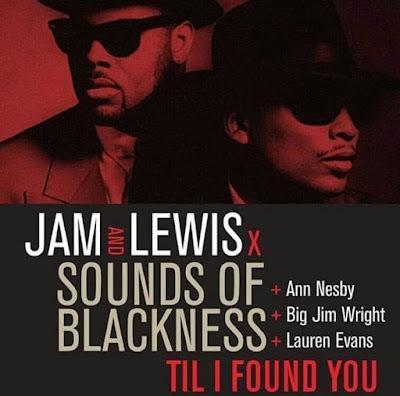 TAMELA MANN: I think it’s an amazing body of work that we put together and I really hope that everyone enjoy it like we enjoy riding and listening to it. Even my grandkids have really inspired us because their enjoying it as well. TERRANCE: Talk about some of the songs. One of the interesting titles is “Mason Jar”. TAMELA MANN: “Mason Jar” is a song that’s talking about me as a young teenager how most of my friends experienced love early and boyfriends and I never had that. I finally found love that you could preserve like in a mason jar that you could package up and put it in a jar and hold dear to my heart, so that’s what “Mason Jar” is about. Finally finding love that I can cherish forever. DAVID MANN: “Still Do” is where I’m rededicating my love and my vows to her. It’s kind of me saying, look I will do this all over again and so there are songs like that on there. 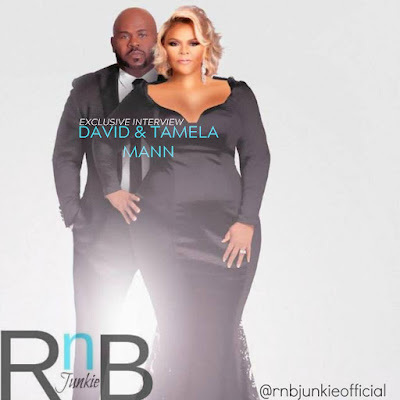 TAMELA MANN: “Feels Like” is a song that I’m singing to David when he touch me, he make me feel like a special girl or special woman. It’s a wonderful thing and it gets more in-depth as you go in the song, but he makes me feel like I’m on top of the world. TAMELA MANN: And there’s another song called “Signs” which talks about when you want to be with your mate. DAVID MANN: In that intimate way. TAMELA MANN: You just kind of know what’s going on like that special touch or special feel we get from them when it’s that time for us to commune together. DAVID MANN: Or worship in a very spiritual way. Hallelujah! So those are the projects that we’re working on and ‘Us Against the World’ is a movement for us. It’s something we want everyone to join in on because our President… well yeah, he talks about making America great again, but that cannot begin to happen until we get the foundation and the base and that’s family. Husbands and wives unified. Family unified. TAMELA MANN: Let’s make marriage great again and let’s make family great again as well. DAVID MANN: And that’s when we’ll start to see America become great when we’re starting at home, then it will start to infest and affect everything around. TERRANCE: What can we expect next from The Mann’s or solo ventures. DAVID MANN: We’re currently looking into producing some movie stuff. We Executive Produced a new film that we’re gonna be in on December 2nd called, Merry Wish-mas. TAMELA MANN: On TVOne. I have the leading role and I’m like a businesswoman who’s so caught up into work that I forgot about family and love and kind of had a bitterness towards my family. This movie is about forgiveness, family and finding love again. David is my co-star in the movie and y’all he’s having to be serious. It’s no joking, so you get a straight David Mann. It also stars Kim Fields, Terri J. Vaughn and Towanda Braxton. I also have an Ashley Stewart line called Mann Apparel. It’s Leisure wear meaning you can workout in it or run your errands. I’m really excited and proud of it and that’s coming out this Fall. TERRANCE: Any final words you would like to add? TAMELA MANN: Thank you so much for taking out the time to hang out with us. Thank you for the support and God bless.